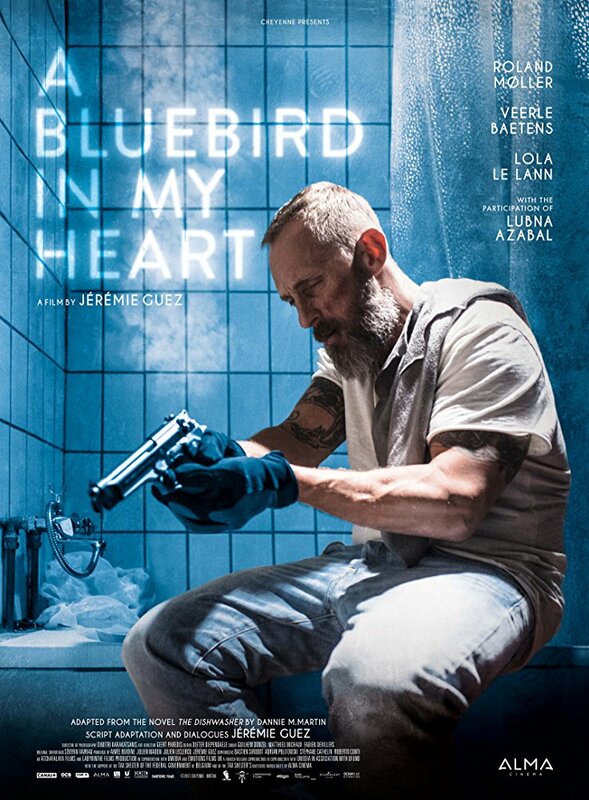 Straight from SXSW, an early review of A Bluebird In My Heart. Proving once again that we can never escape our past, A Bluebird In My Heart revisits story points that are both familiar and repetitive, but also endearing and brutal. Based on Dannie M. Martin's book The Dishwasher and using a title borrowed from a Charles Bukowski poem, this low budget film strikes a fine balance between modern noir and expected vengeance tropes, that ultimately fails under the small scope of a hampered script. When a convict is released from prison, he seems to think that he may get a second chance at life, yet is suddenly thrust back into a harsh reality that will leave him with blood on his hands and black marks on his soul. Playing at SXSW last week, the French crime drama is another dirtied piece of cinema that feels hyper realistic in its presentation of people that need a way out but are consistently reminded of their place in the world. Dragging his audience through the down and out life of a criminal turned dishwasher, this character study plays it calm and collected as it's lightly sprinkled with small dashes of gunplay and action. Damn, girl. You're heavy. Let's find a wheelbarrow. Played with a large amount of grit and dirty cinematography, this latest French release carries a beacon of fraught redemption that's convincing in it's presentation. Although we've seen this story a dozen times before, director Guez knows how to go for the throat at certain moments, instead of lining the entire project with too many fight scenes. Where the film ultimately fails is at creating any type of connection between the audience and his characters. The script doesn't give us any details about the main character's crimes and never fully expands on the back story of the girl he's protecting. Yes, sometimes mystery is better. But with A Bluebird In My Heart, there should have been more connectivity between viewers and the people on screen. We can sympathize with her plight. However, her pain is a surface scratch on what could have been done if we really knew her. Going in with lowered expectations, fans of the thriller genre will find something to like about this movie. Recently picked up by Shudder for streaming release, this will fit right at home with other small screen movies. Considering the story is rather low brow, it will play better to the on demand services than it would to theaters. There is a far better movie in here. If Guez had taken some more time to flesh out his characters, this could have been great. As of now, it's a decent movie that will find a a small audience that will probably agree with this review.